It’s always the right time to give blood. In the U.S., someone needs blood every two seconds — about 36,000 blood transfusions every day. That said, this is the perfect time to give blood: come in to donate between now and February 26, and as a special thank you for making donation a priority, we’ll send you a $5 Amazon.com Gift Card* claim code^. Your donation will help us overcome an emergency blood shortage, and in turn, you can use the Amazon.com Gift Card to shop from a huge selection of books, electronics, music, movies, software, apparel, toys, and more. O negative blood donors are especially needed now. Your donation is always tremendously important. But now, more than ever, patients are counting on you. 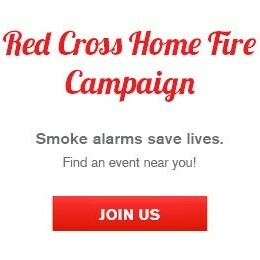 Click here or call 1-800 RED CROSS (1-800-733-2767) to schedule your donation today! ^ Presenting donors between January 30 and February 26 are eligible. Instructions on how to redeem the Amazon.com Gift Card claim code online will be emailed approximately 14 days after an attempted donation. This offer is non-transferable and not redeemable for cash. If a presenting donor qualifies for multiple offers, they will only receive one offer unless otherwise indicated. If you recently donated blood or have an appointment scheduled, thank you on behalf of the patients whose lives you may have touched. At age 16-17 depending on state, individuals in generally good health who meet weight and height requirements may become eligible to donate blood. Please review our eligibility requirements as some states require parental consent. When donating, bring your Red Cross blood donor card or other form of ID. Blood drive locations and hours are subject to change. Visit redcrossblood.org or call 1-800-RED CROSS (1-800-733-2767).